Regarding 26 June, UN International Day in Support of Victims of Torture, the Protector of Citizens recalls that the prevention of torture and uncompromising confrontation with the appearance of cruel, inhuman and degrading treatment or punishment are not only the questions for fulfillment of international obligations of Serbia, but also a prerequisite for the preservation of the dignity of all citizens and the basis of democracy of the country. Victims of torture are primarily persons deprived of their liberty, which are deprived of their freedom, or limited, due to decision or with the explicit or tacit consent of state authorities. This group includes the person who kept the police, those who are serving a prison sentence, and those who are in social and health care. Restrictions on the freedom of such persons, as well as closure of institutions in which they are creating an effective opportunity to be victims of torture, states Protector of Citizens. 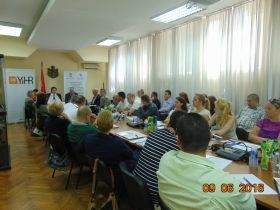 National Mechanism for Prevention of Torture (NPM) Serbia in his previous work carried about 350 visits to places where persons are or may be deprived of their liberty and addressed over 1000 recommendations for corection of the identified deficiencies. Although many examples of improving the treatment of persons deprived of their liberty, the Republic of Serbia needs to develop a system of continuous training on human rights for decision makers and all the officials who directly treat persons deprived of their liberty, in particular as regards the prohibition of torture and other forms of ill-tretment, stresses the Protector of Citizens. UN Convention against Torture and Other Cruel, Inhuman or Degrading Treatment or Punishment, as one of the key instruments in the fight against torture, entered into force on 26 June 1987. Till today, the Convention has been ratified by 159 UN member states. Optional Protocol in the past decade, as a global system for preventing torture and other forms of ill-treatment, allows access for external and independent control, international organizations and national authorities to the places in which are placed persons deprived of their liberty. The fact that the Subcommittee on Prevention of Torture and the national mechanisms have the power to access any place where persons are deprived of their liberty serve as a deterrent against ill-treatment, increases transparency and promote responsibility for acts of torture and abuse. More than 60 countries have established their National Preventive mechanisms. The Republic of Serbia has signed the Optional Protocol in 2003 and on 28 July 2011 at the session of the National Assembly of the Republic of Serbia Ombudsman is designated to perform duties of the National Preventive Mechanism (NPM) in cooperation with ombudsmen autonomous regions and associations whose statute provided objective of association is promotion and protection of human rights and freedoms. Round table "Health care in the prison system in Serbia"
The Serbian Ombudsman, in cooperation with the Administration for the enforcement of criminal sanctions (furtheron Administration) and the NGO Youth Initiative for Human Rights organized a round table on "Health care in the prison system in Serbia", which brought together doctors and other medical staff working in institutions for execution of criminal sanctions. Next to the deputy ombudsman and his associates, participants were were addressed by the Director of the Administration, head of the Special Prison Hospital, as well as the experts in the field of human rights and health care. The goal of the roundtable was to train participants on the standards of health care in prisons, as well as the introduction to the most important findings and recommendations of the Ombudsman and the NPM. 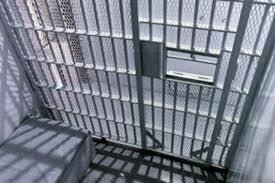 In previous work on complaints and in conducting the NPM work, the Ombudsman sent to the Administration about 200 recommendations, relating to the improvement of health care in prisons.